The San Francisco ferry map is interesting, but I’m not sure about the text. “San Francisco’s grand Ferry Building at the foot of Market Street was the second-busiest transit hub on Earth, after Charing Cross Station” – really? “The typeface is Erik Spiekermann‘s Fira Sans, which also happens to be the national font of New Zealand” – it’s the web font used by the NZ Government, but to call it the “national font” is stretching things just a little! Is GDS Transport Website the national font of the UK? I think the oddest thing about the map is the unnecessary side-box for Mare Island, as it’s a diagram (rather than a map) and there’s no need for the scale. The prehistoric whale found tunneling under downtown LA peaked my interest, a shame it was not a very long lived whale that had learned to use tools, oh the power of a missing “while”. 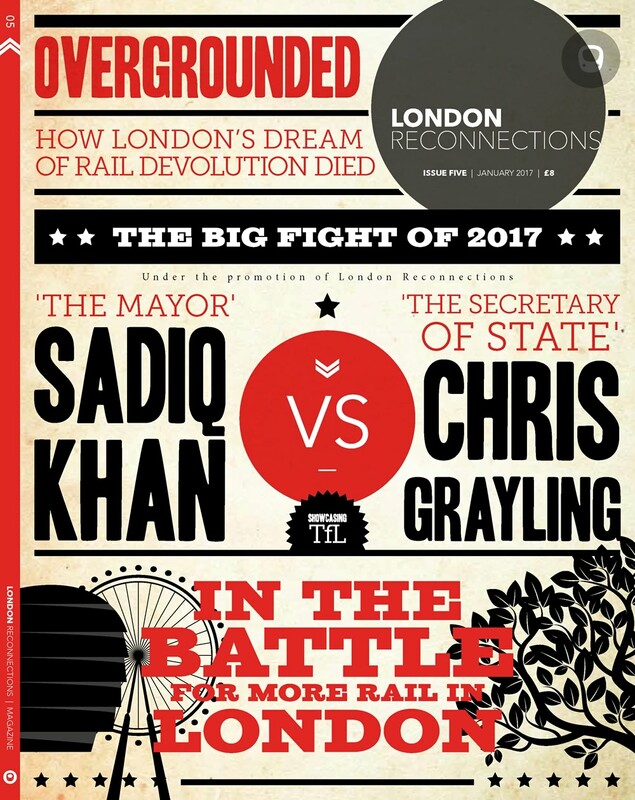 Speaking of while, I have posted or more correctly tried to post a question of when the 6th edition of London Reconnections magazine is likely to surface. It is 26 months since issue 5 and 12 months since Gareth posted that it was on its way with writing and layout and printing yet to be done. Possibly advice of slippage could be provided, it shares lack of disclosure on progress with Cross rail. I have been to Tiburon on the Blue and Gold a couple of times, most recently in 2016. On both occasions we stopped at Angel Island on the outbound but not return journey. Has the routing changed or is the diagram not quite accurate? The air pollution/Children article had me in sarcastic fits, I’m afraid. Those of us who lived through the great smogs of 1952 & 1955 regard the present complete panic with a certain amount of disdain I’m afraid. Particularly as it seems that most of the road-traffic air pollution that said children ar inhaling comes from their own parent’s cars, driving the “little darlings” to & from school. If they walked or caught the bus, the problem wouldn’t exist, would it? I’m not sure about the accuracy of the SF ferry map – to be honest I hadn’t been aware of ferries there, other than the tourist one to Alcatraz. As usual, US cities’ public transport is incredibly and frustratingly fragmented, so when I was there a couple decades ago I and I’m sure many other tourists were and are oblivious. Ferry travel is a scenic, relaxing way to see a city. I make up my own narrative & skip the pricey tourboats. Greg – the smogs of the 50s had much more particulate matter in them, from coal and wood smoke, and huge amounts of SO2, again from coal. This led to the Clean Air Acts which hugely reduced both of those. Since then there has been a huge increase in nitrogen oxides (NOx) and very small particulates (PM10 ), the latter of which go deeper into the lungs than those from 50s coal. Diesel is the source of much of those. According to https://assets.publishing.service.gov.uk/government/uploads/system/uploads/attachment_data/file/476635/travel-to-school.pdf , about 25% of primary and 15% of secondary age children go to school by car. Most will be in outer London boroughs where traffic moves faster than walking pace during morning rush hour, and generally children are only taken by car if their parent is heading to work by car anyway. If the local lollipop people hadn’t all been made redundant and local schools had enough places so that anyone forced to move house didn’t have to drive to their now-distant school, you’d reduce school run journeys slightly – but not by that much. It’s not just people who have moved – selection policies are such that many parents don’t choose the nearest school, and consequently, if that school is full, many others don’t get offered a place at their nearest. This can be seen every morning at my local station, which has two grammar schools and a selective private school in the vicinity, with a huge wave of children piling off the trains arriving in the morning, with a similar wave of local children waiting to board the train to head off to their schools. But most of them do use public transport. Which is why, living as I do one stop “upstream” of a site that houses three schools (primary, grammar, and a new Academy), I can never get on a bus in the morning! @ Greg – that is such an ignorant ‘well we had it worse in my day’ point of view. @timbeau – Indeed. There are four primary schools within 5-10 minutes’ walk of my house (Lambeth). Two are reserved for families meeting religious criteria. I applied to the other two as my first choices, completing my application form with the next four closest non-religious schools. Got school 3, which has a figure-of-eight shaped admissions area, as it’s bounded on two sides by open spaces and borough boundaries, and two holes from two very-desired schools. So it’s nearly a mile away, 20 minutes on foot or two buses. The traffic is terrible nearby but the only kids I see being dropped off have disabled parents, or have given a lift to a couple other kids, or the parent has to get to work somewhere without direct public transport. I wasn’t aware of that San Francisco subway project nor the light rail line that will feed it. Having watched that video – from 2017! – I thought I’d see if it was open yet given they say 2019 for the opening. Sadly on checking a progress report it is running a tad late! The Stations Systems and Trackway contract is 521 days late (sound familiar??) with the current estimated revenue service date of Dec 2019 being a full year later than the drop dead date for revenue service in the funding agreement. The double irony is the PM on the video clip is going “on time, on budget” and yet 2 years later it’s embarrassingly late. In echoes of the Jubilee Line Extension the contract for automatic train control systems is being “reduced in scope” to decrease the risk of further delays to the project. In complete contrast to the shambles that is “transparency” on TfL projects you can at least bring up a 61 page project report on the tram subway extension project and see all the gory details for yourself including the contracts that have gone, what contingency has been used and how much is left. There is also stark commentary that the main contractor has effectively gone on a “go slow” and the relationship with the client is “challenging” (ahem!). There also seem to have been issues with control of the programme, risks and commercial issues. Sounds all rather familiar again! Having worked in offices along the Highway, every day without wind would noticeably affect breathing. Just across the road was a school (it’s still there, our office has moved), I pity the children. Especially those with asthma. Agreed all the evidence shows the situation is improving so Greg is correct to say it used to be worse even if this is unpopular (Coal and wood burning generates significant quantities of PM10s). Being better than it was still isn’t an excuse not to do anything. A significant quantity of PMs used to be formed by nucleation on sulphur compounds during combustion so swapping to effectively sulphur free Diesel (<5ppm) has cut Diesel PMs by ~20% alone. Air Quality is a complex issue. the next easy fuel quality to air quality improvement will be tackiling Poly Aromatic Hydrocarbons (PAHs) in the fuel to cut PMs and NOx and reduce the need for abatement technologies (better not to produce in the first place). The biggest NOx source in Urban areas is of course Natural Gas and new better boiler standards are helping to massive reduce NOX here, far better value for money, BCR and quicker than road reduction measures such as a Diesel Scrapage scheme. We are in agreement: much has been done; more is already underway; we need further actions that are properly researched, understood & costed.